This centre is the first ever Aboriginal cultural centre of its kind in Canada it is unique because it promotes all three Aboriginal groups, which are First Nation, Métis and Inuit people. It serves as a main focal point for all nations to access Aboriginal cultural services and information. 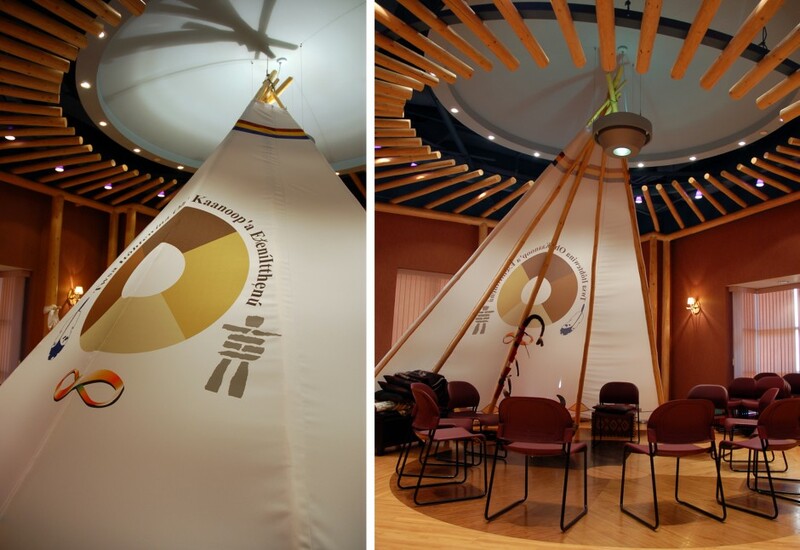 It provides tools for awareness and appreciation of the various Alberta Aboriginal cultures. It is an environment where Aboriginal people are an important resource to assist in learning and understanding the history, traditions and aspirations of their people. 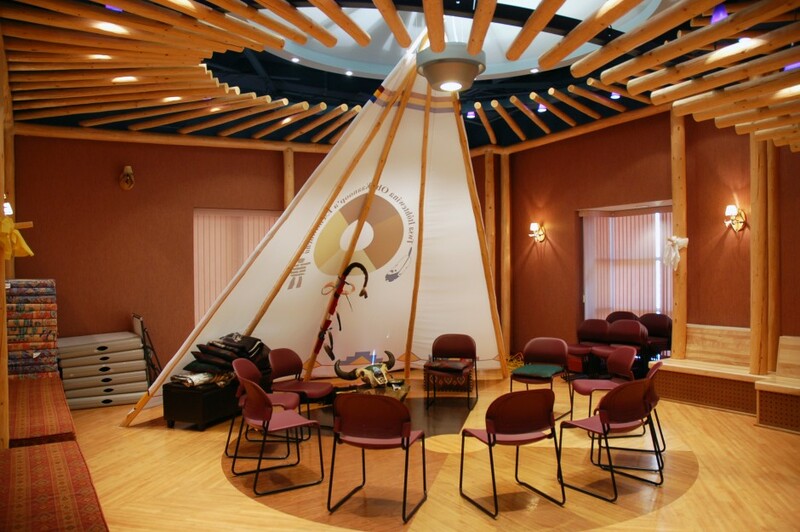 The available space for the cultural centre was separated into two rooms an Elders room and a Cultural room. The Elders room provides a ‘living room’ type of atmosphere where Elders and visitors can relax and enjoy the company and conversation of others there to experience and learn about Aboriginal cultures and traditions. The larger cultural room provides a space where those symbols significant to the cultural history of First Nations people are incorporated. This room will host traditional dances, pipe ceremonies, sweet grass smudging, feasts and meetings. Additional displays could also be set up in this space.